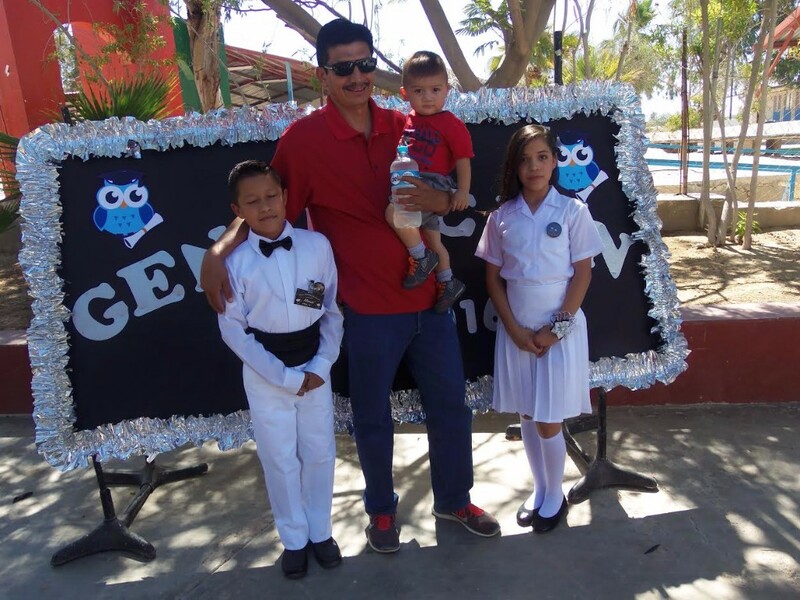 What a joy it was to celebrate the primary school graduation of two of our niños, Perla and Jesus Olonso. This is an important rite of passage for students in Mexico because many students do not study beyond the sixth grade. We were full of smiles and “shout-outs” as our two STRAIGHT A STUDENTS were awarded the top student diplomas for their respective classes. Their smiles said it all. Gary and I are so thankful that the Lord allowed us the blessing of mentoring these bright, motivated children. Their future is continuing to unfold for them. They are now enrolled and attending secondary school (equivalent to junior high) that began in late August. The future is theirs to make! They are our kids and we are so thankful for the blessings they give us daily. Since we opened Sonshine Hacienda in 2012, we have used an “airporter” style bus for transportation when we need to travel to destinations with our entire staff and children. We knew that we were maxing out the Sonshine bus and needed to graduate to a larger bus, but we also knew that would cost money. We needed to work out the budget and possible fundraising events in order to afford a bigger bus. But, as usual, the Lord had a solution even before we could make a plan! We received an email from a gentleman (who wishes to remain anonymous) asking if we had any interest or need of a bus. We couldn’t believe it! It was a 2005, 60-passenger Bluebird bus. 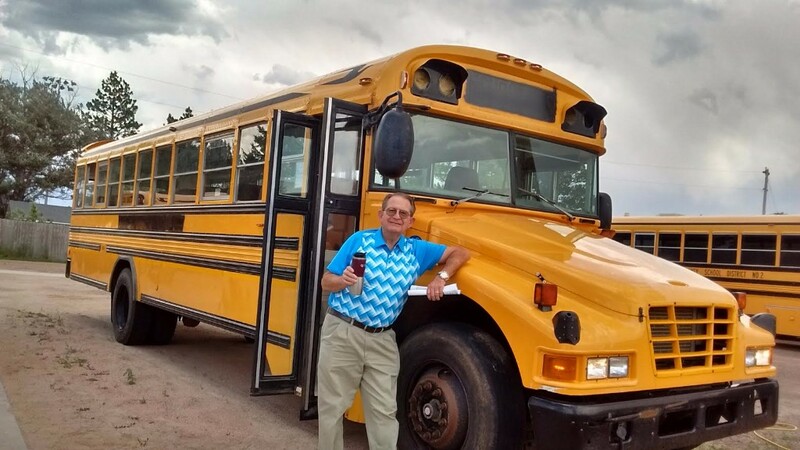 This man knew busses and put in a bid to buy the best bus being sold by a school district in Wyoming. Gary flew to Denver, Colorado, and was picked up by our dear friends Phil and Donna Varnak. From there they drove to Cheyenne, where Gary met the donor of the bus. Gary then began his long and adventurous drive back to Mexico. We know that the Lord continues to bless Sonshine Hacienda and watches over our every need. God bless our donor! His generous gift will meet our transportation needs for many years to come. 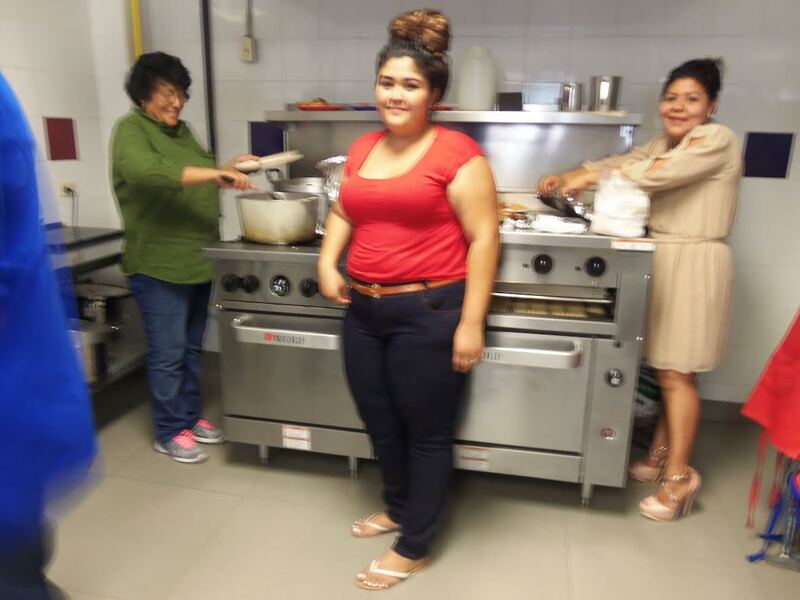 The week prior to school opening, our dear angel, Profesora Norma, came to host her annual event at Sonshine Hacienda. Profesora Norma is a science teacher at one of the secondary schools where three of our children currently attend. Profesora Norma has organized a group of teachers, engineers, lawyers, etc., all of whom are professional people committed to sponsoring a child at Sonshine Hacienda. Their commitment is to provide school uniforms and shoes, as well as outfits and shoes for sports, for their sponsored child. 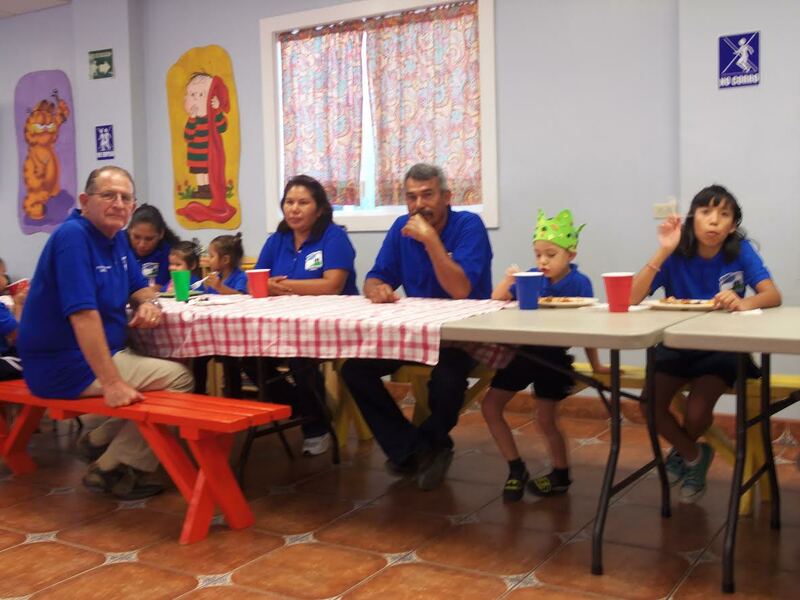 Each year, Profesora Norma hosts a dinner at Sonshine Hacienda for the sponsors and the children, after which the sponsors pass out the gifts to each child. This is a great opportunity for the sponsors to connect with the child they support. I am always moved to tears to see the genuine love that these people have for their students. Education is so important to our children. Next to God, it can change the direction of a child’s life. What a beautiful gift! I don't think anyone likes change in their lives – at least I know I don't! But we have been through a number of major changes this past year. A great deal of stress was placed on us by DIF, the government monitoring wing of the Casa Hogars (children’s homes) in Mexico. We have had to make weekly trips to Mexicali for meetings and write multiple manuals – binders full of procedures – in order to comply with new requirements. It has been a long process, but in spite of many challenges, we seem to have made progress. We are so thankful to Alvaro and Diana, our administrators, for their hard work in getting the initial procedure manuals completed, and for Mama Imelda for helping continue the work they started. In June, Diana and Alvaro resigned their position as administrators at Sonshine Hacienda. It was so sad to see them leave us, but we also understand that they need to follow the Lord's will for their lives. We wish them well and will remain friends. We are excited to share with all of our supporters that we are welcoming some dear old friends to the management team at Sonshine Hacienda: Imelda and Bernardo. They are joining us as administrators. They will work with us (Gary and Karen) as well as our new missionaries, Randy and Katie, who will be arriving in November. We have also added another individual to our staff who will help with accounting. As if that weren’t enough change, we are prepared to grow in size at Sonshine Hacienda. We have been told that our Casa Hogar will be receiving considerably more children in the near future. So hang on tight, and get ready for an exciting time ahead! We are thrilled about the new opportunities that are available and are incredibly grateful for your support through it all. God is in control, and in Him we place our trust. PRAISE THE LORD! Or donate online via PAYPAL. Find a link on our website at: www.sonshinehacienda.org. THANK YOU SO MUCH FOR ALL YOUR HELP! WE COULD NOT ACCOMPLISH OUR WORK WITHOUT YOU!